encore Deals! | 50% Off a 90-Minute Massage! 50% Off a 90-Minute Massage! 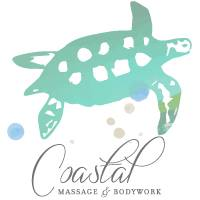 Coastal Massage & Bodywork is an upscale spa located before the drawbridge to Wrightsville Beach. With over 16 years of combined massage and spa service experience, offering customers the combination of massage, body treatments, facials and anti-aging treatments. We cater to both men and women and offer the latest in skin care products and therapies. As a casually intimate seaside day spa, we offer treatment rooms that are enriched with the highest quality spa treatment tables, linens and esthetic equipment available. We have specialists who are well-trained in different styles of massage including, Swedish, neuromuscular and other therapeutic modalities. We offer full body exfoliations, facial treatments, skin resurfacing treatments as well as anti-aging techniques and treatments. We have carefully selected some of the best and most therapeutic treatment products available. Each service includes complementary DoTERRA Essential Oil Aromatherapy. Introducing HydroPeptide to Wilmington for all your facial and skin care needs. They provide the utmost in luxury, quality and benefit.